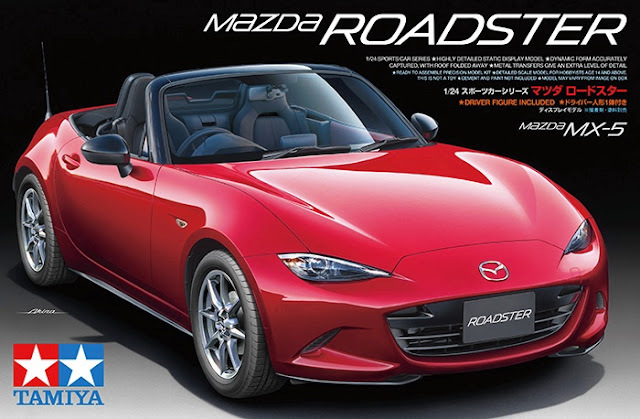 THE MAZDA ROADSTER - also called the MX-5 or Miata - has been a genre-defining car since it first went on sale in 1989. And this 2015 Tamiya kit depicts the latest fourth generation machine. 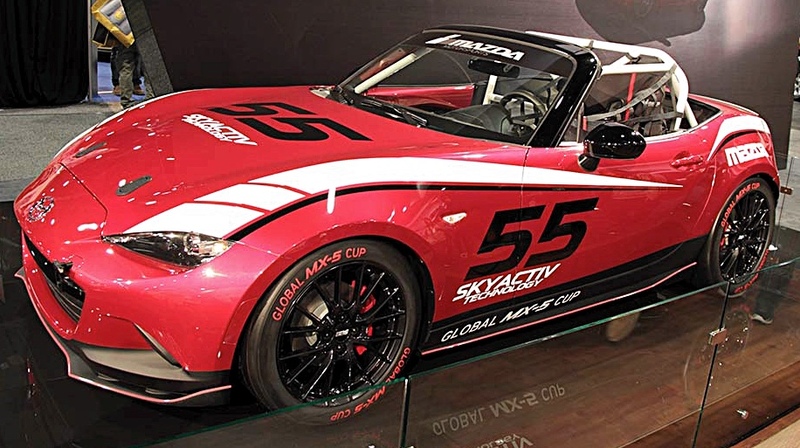 SMN report: Designwise, the latest MX-5 reflects the Mazda concept of ‘kodo’ - soul of motion. And the Tamiya model accurately reflects the new look. 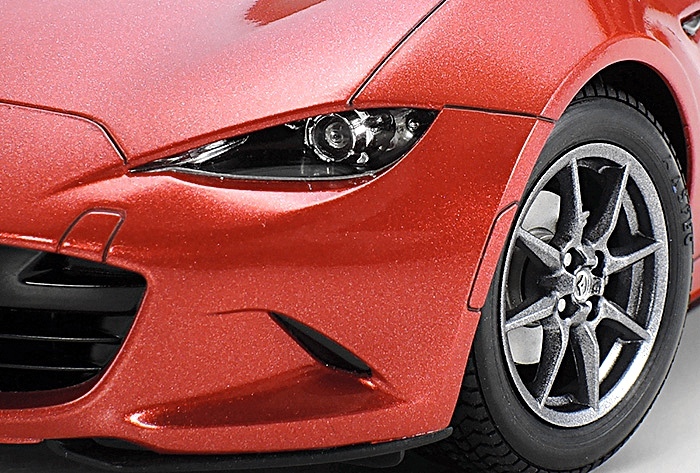 Whether it’s better or worse than the last generation MX-5 is a matter of choice, of course - we reckon the squint-eyed look of the headlights is less than perfect, but plenty of enthusiasts think it’s OK. 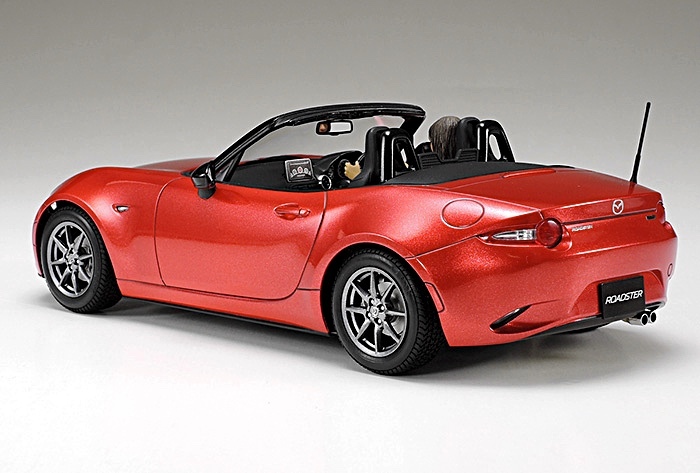 The Tamiya model scales out at a length of 164 mm (6.5 in) and is supplied with roof and side windows down, fair enough with an open-top two seater. Tamiya has included metallic decals for badges, side mirrors, light reflectors, instruments and other interior parts. It’s a useful approach that works well, and is probably a better solution than using chrome-finish paint to achieve similar results. 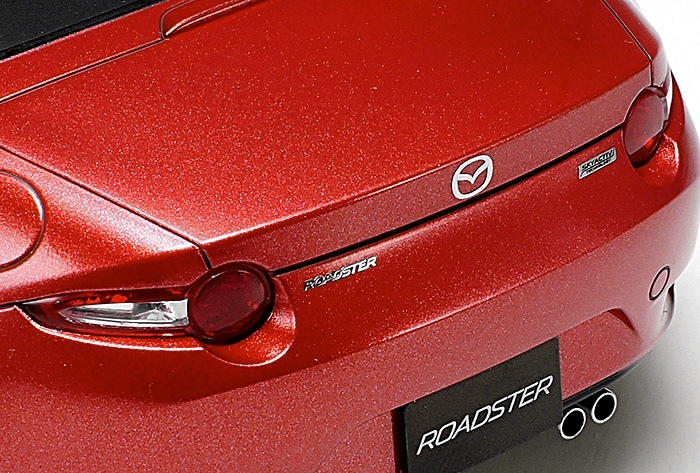 Clear components and metal-plated reflector pieces make for realistic lights (below) while hubcap emblems are also recreated with metal decals. 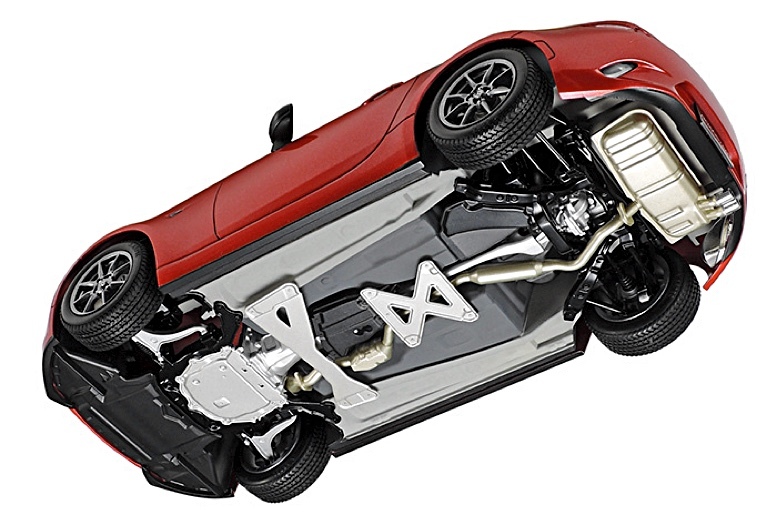 Usefully, the kit can be assembled in either left- or right-hand drive form, while the underbelly (below) has appropriate detail, including the suspension and drivetrain. 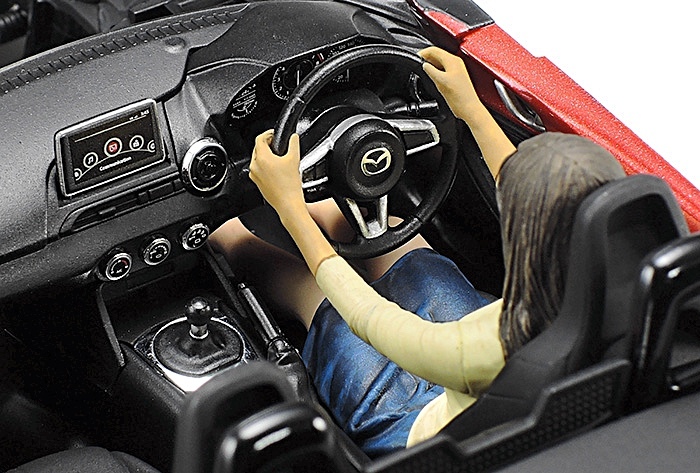 Slightly bizarrely, Tamiya claims that the kit includes, “…the first ever female driver figure in the 1/24 Sports Car Series!” So sexual equality hits the kit world, even if the choice here might back up the oft-held hairy enthusiast’s view that the MX-5 is something of a hairdresser’s car. 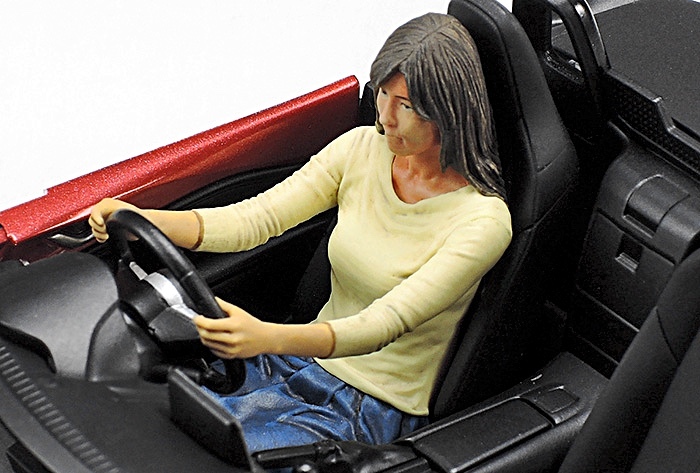 In fact, the redesign was explicitly styled for more appeal to male drivers. Decals (below) allow a choice of four versions: Japanese, US, British and European. Mazda sports cars have always been good for real-life modding, and the latest MX-5 is no exception, as the pix (below) reveal. 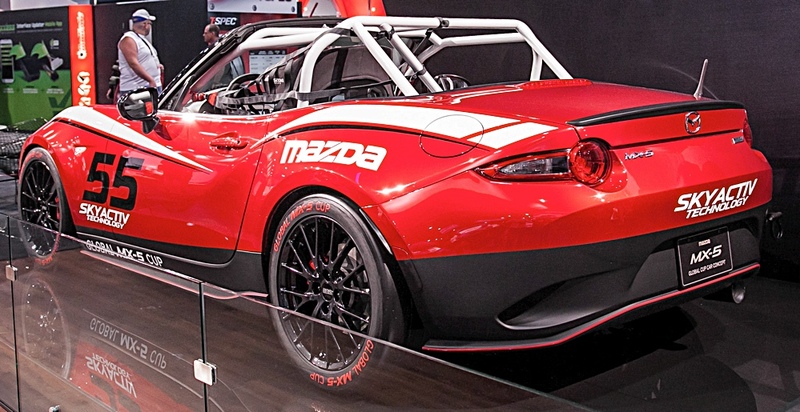 On the model bench, you could add roll-cage, racing slicks and competition numbers to recreate this swoopy looking track car. You could go the street-smart route (below) with a custom spoiler and ground-effects tail, here shown on an earlier Gen 3 car. Dub City wheels and ultra-low profile tyres finish off the look.